Keith Williams Architects has been joined by 4 of the UK’s other leading architects in a high profile shortlist to design the new London’s Metropolitan Police HQ. The international architectural competition administered by the RIBA Competitions Office attracted a world-class field of architects who responded to the RIBA design competition with a great many expressions of interest from the UK and abroad. The 10,000m2 project involves the redesign and extension of the 1930s Curtis Green Building, a former police station on Victoria Embankment next to Old Scotland Yard in Central London. It neighbours the Norman Shaw and the Ministry of Defence buildings, and Richmond and Portcullis Houses. 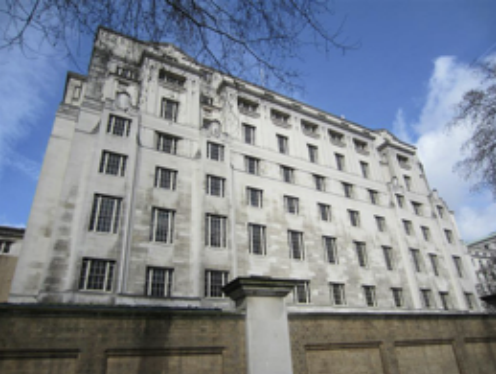 The building originally designed in 1935 by the architect William Curtis Green, will be refurbished and extended Curtis Green building will become the Met Police’s new HQ when their current base on Broadway in London’s Victoria is vacated in 2105. The other practices selected for the competition are Foster & Partners, AHMM, Allies & Morrison, and Lifschutz Davidson Sandilands. All five firms have until 9 September to prepare their proposals and an appointment is expected to be announced in October.